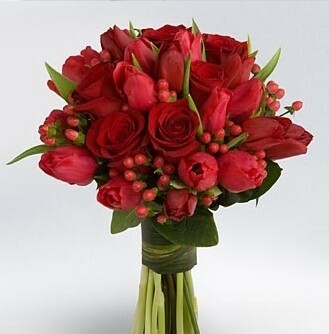 Set her heart fluttering with this is a European hand tied bouquet of ruby red tulips, red roses, and red berries artfully designed to fit any tall vase. 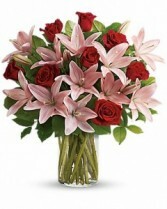 Enchant the one you love with a beautifully bloomed design of pink lilies and long stem red roses from Ecuador. 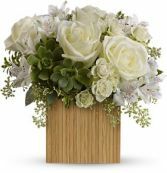 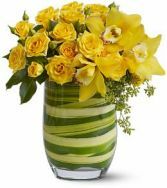 Presented as a taller arrangement in a designer glass vase.